After the end of Peshwa – Brahmin rule in today’s Western Maharashtra, English rule began and it was through a war in 1818 at a place near Pune – Bhima Koregaon, Peshwa army was defeated by English army unit the Mahar regiment. Thus Peshwa rule was defeated through Mahar Caste (Untouchables) regiment by the British. In a way it was revenge by Mahars – who were treated worse than animals during Peshwas rule. The Mahar battalion was under British army. Dr. Ambedkar used to visit this place every year on 1st January since 1926 as that was the date on which Peshwa rule came to end. The English started their rein and the culture of governing was changed. Untouchables and Shudras were stopped treating inhumanly unlike Peshwa rule. 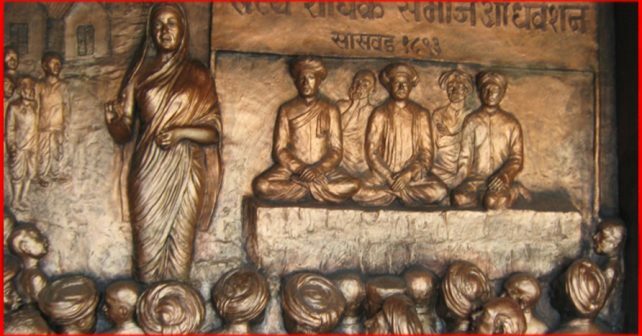 Jotirao Phule was born in 1827 after 9 years of end of Peshwa rule. It was a transitory period. Peshwa culture being eroded, ruling culture being eliminated by the British rulings. Phule was a witness to this change. Brahmanic hold on the society started waning. He was experiencing the hold of Brahmins on the society at grass root level. He was witnessing the plight of untouchables, peasants and lower castes (Shudras and adi-Shudras) the terms he used for backward castes and untouchables and which were created by Brahmins. He came its contact of English person and was helped to learn. He learnt English. His mind was perturbed by seeing the plight of people even during the initial years of British rule. Further, he started writing against the Brahmanic hold. He wrote ballad in praise of Shivaji calling him peasant’s king and representative of Bahujans. Subsequently, he exposed continuous Brahmanic aggression throughout the history through his book ‘Gulalmgiri’ (Slavery) ‘Whipcord of Peasants’, Brahmins Treachery (Brahmananche Kasab), etc and ultimately founding of the Satya Shodhak Samaj (Truth Seeker’s Society) in 1873. It was the turning point there was overall movement against Brahmanic hold, right from challenging their scriptures. He denounced all the Brahmanic scriptures right form Vedas to Smurtis to Puranas. Ramayana to Mahabharata and even Geeta. He challenged supremacy of Brahmins and very foundation of the caste system. He raised the confidence of Shudras – whom he considered as slaves of Brahmins and induced in them the new spirit through Satya Shodhak Samaj movement where by entire Brahmanic hold was challenged and Shudras were involved and were targeting Brahmins. The Brahmins were attacked over their obnoxious rituals, traditions by Satya Shodhaks. Their utilities were being considered as futile and people started moving away from Brahmanic machinations. This was frightening situation for Brahmins – Peshwas. They were being ridiculed and even physically handled in some parts of Maharashtra. Phule, expressed that Shudras and adi-shudras are blood brothers. Parts of Shudras were made untouchables as they fought fiercely with the Arya – Brahmins in the pasts. The social problems in India are not due to political parties. Politics as is being played in India is peripheral in the social arena. All the political parties are involved in targeting state, reforming the state but they are not targeting the roots of all the social woes. Now, Indian state is a Hindu state and the state is under the control of Hindu nation. The Hindu nation means the caste system by and large. The atrocities the discriminations, deprivation of the people at large is because of the hold of the caste system. The people who are categorized as minorities are suffering because of this hold of Hindu nation. All the political parties talk of material reform like unemployment, price rise, land problem i.e. they target turn by turn the state policies. Be they from right to extreme left. No political party targets the caste system upholders. The RSS and its satellite organs when ‘state’ is a target nation remains untouched. The Hindu nation is growing at the cost of left and even Dalit political parties. All these parties have become subservient to the RSS. If caste hierarchy and its hold is not targeted the Hindu nation is bound to be fortified. Even left parties are controlled by Brahmanists. Even low castes, Dalits in such parties have become Brahmanists, as they too forget the root cause in the company of such Brahmanist parties. This is the grave situations. More and more organizations are falling in the RSS lap and trap. Politics of gaining or demanding economical relief from ‘State’ does not touch or harm the hold of the caste system, (what RSS calls Hindu nation). All the organizations, political forces will have to target and loosen the hold of Hindu nation; the caste system. Class follows the economic deprivation and hence fortification of the hierarchical system. If this trend continues the hold of caste system will be strengthened further. In targeting Hindu nation. those who are for revolution will have to target Hindu nation in all its aspects, cultural, linguistic, communal. Cultural change means changing the mindset. 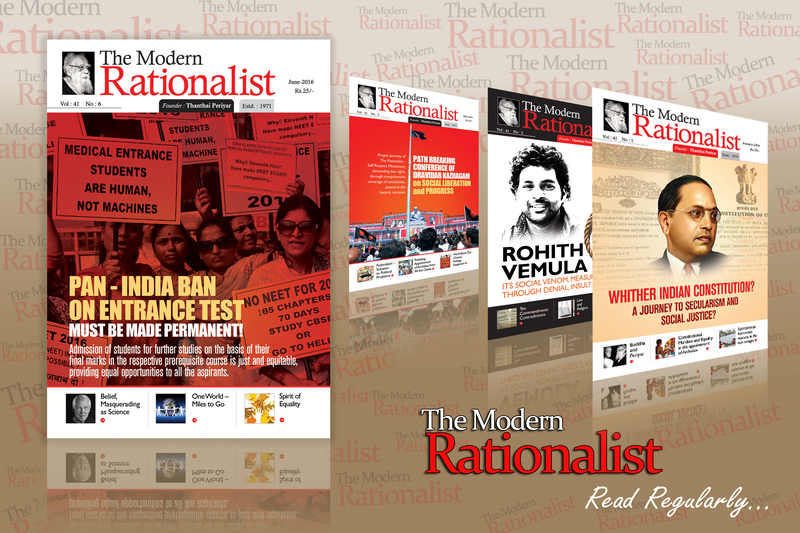 Doing away with the RSS’s ‘mind control’ by egalitarian culture, mindset. Golwalkar boasted that we have achieved ‘mind revolution’. Have any of the political parties tried to change the mindset. Is it because Phule sown the seeds of Satyashodhak movement. Is it because there was non-Brahman party – politics in Maharashtra? Is it because Brahmins Sansad the danger from non-Brahmins up-rooting the caste pyramid? Is it because Dr. Ambedkar’s role started as a element to them since he wrote in 1910 on caste. Why S.A. Dange opposed pro-Bahujan Shahu King and supported Tilak a Brahmanist? Peshwa Rule Brahmin Rule inspired for Hindu Nation? Peshwa rule over taken by English rule was a rude shock to Brahmins as they were reduced to the state ruled by British rulers. Peshwa rule was a total rule of Brahmins which was ruled as per Manu’s dictates. Brahminic whims were ruling the roost Brahmin were supreme in politics and also in social hierarchy. They observed hard line Caste rule. Untouchables were denied human rights, were reduced to the position below cattle. This position of Brahmins was deep in their minds and dreams. Tikak’s, Savarkar’s ancestors were the rulers over all. They were seeing that post supremacy as ideal for that and they decided in their mind to bring back the Peshwas rules Brahmin glory.